Pokemon. A cartoon. From the ’90s. WHY has this show become so popular again? Someone has to be with me on this, right? My son is seriously obsessed with this show and Pokemon Go and everything that has to do with catching these creatures. 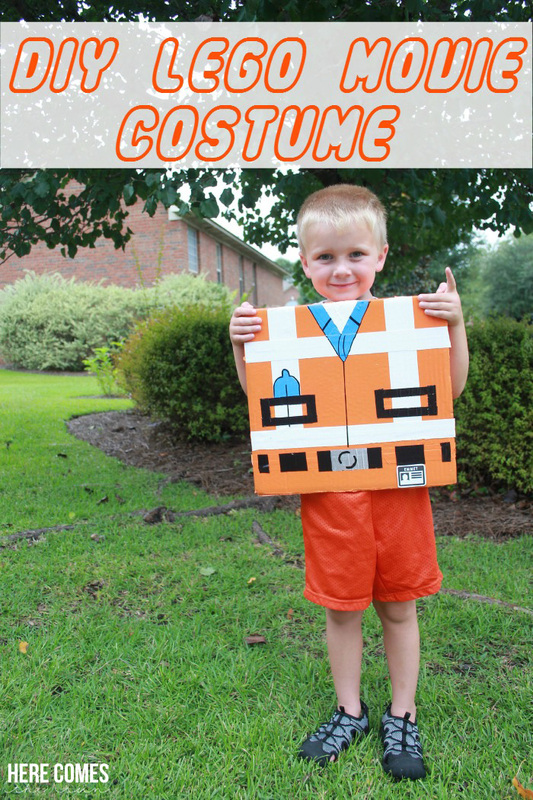 So when it came time to discuss Halloween costume ideas, he had only one request… “Mom, make me a Pokemon Ash costume”. 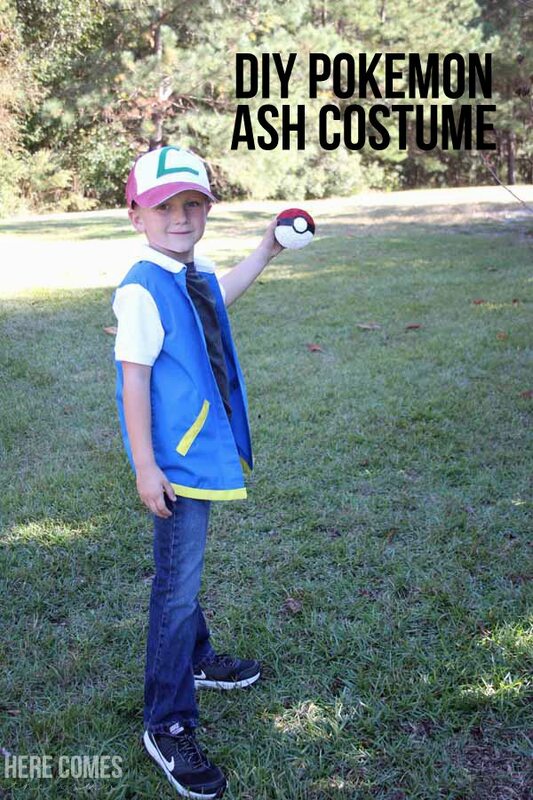 At least he wanted to be Ash and not one of the actual Pokemon. I can handle a little sewing but I was not in the mood to figure out how to make a big furry costume. Luckily, this one was pretty easy and cost less than $15! And luckily he didn’t request a family costume with me as Pikachu. I got suckered into being an Ewok a few years ago for the family Star Wars costume. Not this year, kid. Not this year. 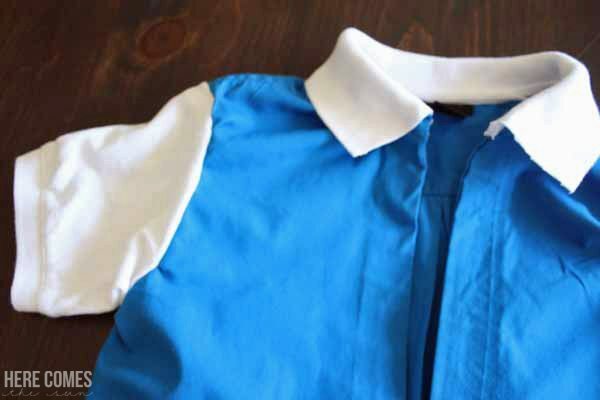 Cut the sleeves and collars off both shirts. 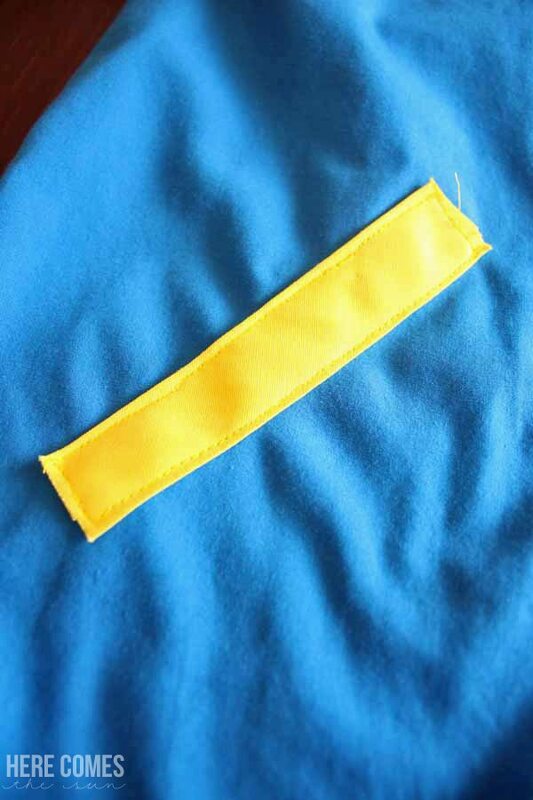 Remove the buttons from the blue shirt, fold the edge over and use stitch wichery to “hem” it. Repeat on the other edge with the button holes. 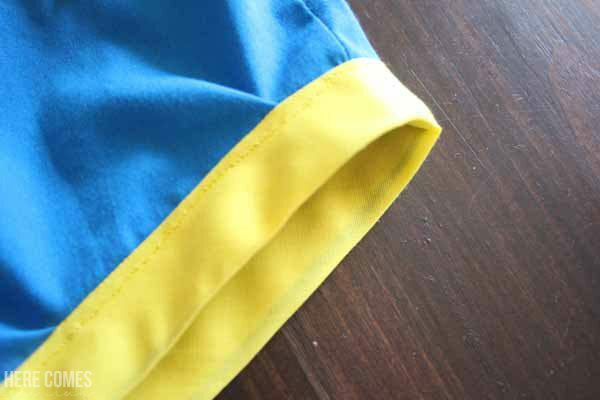 Sew yellow bias tape around the bottom of the shirt. You will need a red hat with a white front. 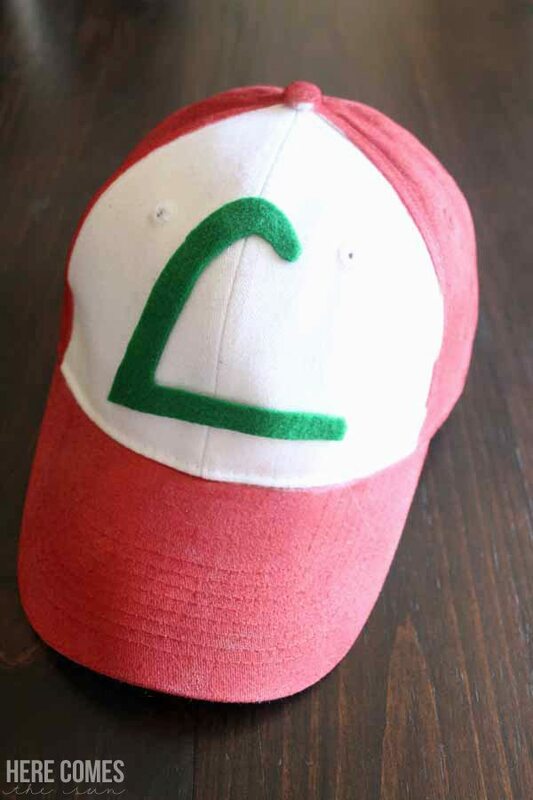 We couldn’t find one so we used a white hat and spray painted it red. 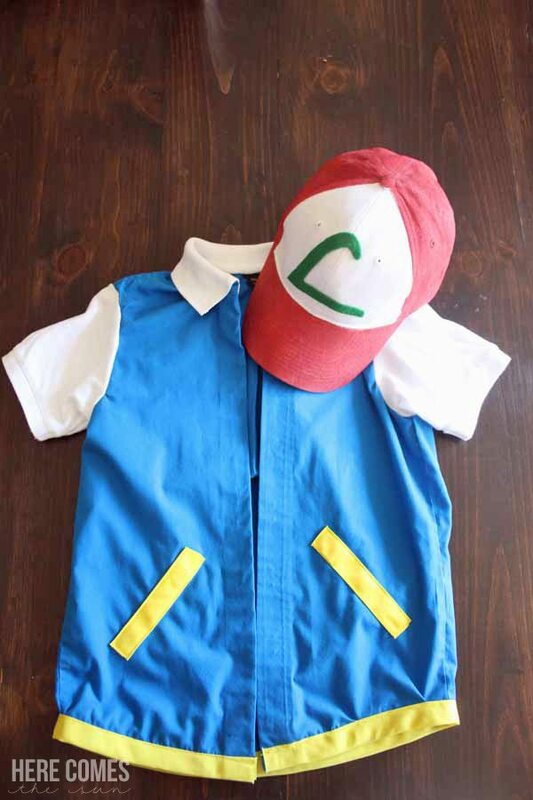 Add a black shirt and a pair of jeans and you have an easy DIY Pokemon Ash costume. 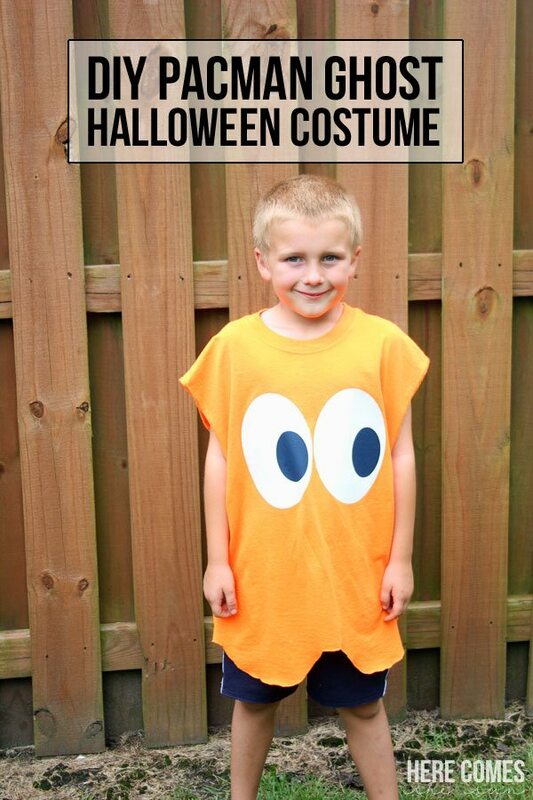 And if you are the cool mom, you’ll dress up as Pikachu. I’m gonna pass on the cool mom this year.